Cloud Ready! Linux cPanel Based VDS Hosting! Our VPS are fully managed & comes with 24x7 support along with hardware management, operating system and software support, security updates, firewall, spam prevention and more. 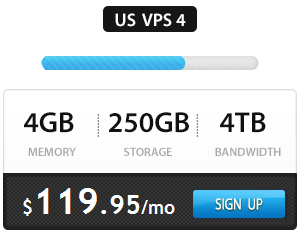 WHM/cPanel and Softaculous are available FREE with all vps hosting plans. Manage your sites easily with cPanel and install 300+ scripts with just a click of a button using Softaculous. Need more RAM or CPU? If your web sites or customer base is growing bigger and bigger we can scale up your VPS with just a click of a button with zero downtime for your web sites. With SSD Supercharged Caching Technology and 1000Mbps monster uplinks our USA virtual private servers are twice as faster than most of the other standard VPS providers. As a Cloud partner we can enable CloudFlare on your VPS for enhanced security and distribute your content around the world so it’s closer to your site visitors thus speeding up your web site. Our Virtual Private Servers come with unlimited FTP, unlimited MySQL databases, powerful spam free emails and many more with no server resource limitations unlike in shared hosting.